A few years back, I purged nearly all of my computer components that were kicking around the house, thus essentially abandoning my home lab. 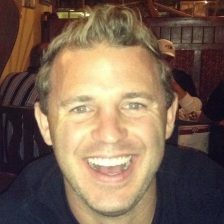 I had learned what I needed to with it, and had enough equipment at work to get done what I needed, so off it went. Old PCs, switches, cables, parts, etc. were all sold off, and it felt good to finally declutter. Fast forward a few years and I find myself with a different job, tackling different problems, new technology is out and the need to invest in a home lab has become important again. 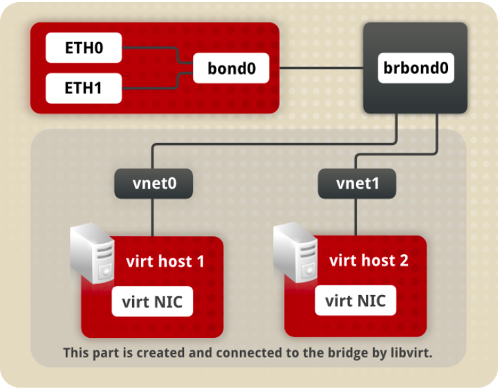 When I was looking at routers/switches, mikrotik came up and looked like a good option – pretty feature full and open source. I bought a couple of these, and later found out the LACP implementation had some limitations. This didn’t matter much until recently when I’ve began using 30+ VMs on a hypervisor. After some light research, and a helpful /r/homelab community, I decided on a Dell PowerConnect 6224 from ebay. The Dell’s are pretty feature-full as well, and their OS has been modeled after Cisco’s. I’ve done work with Cisco gear in the past, so that was a good fit for me and a chance to get my hands dirty in networking again. I found a good deal from Geekfurb and spent this weekend setting it up. All finished! Testing with iperf shows I’m getting close to line speed on the interfaces (~940 Mbit on 1 Gigabit NICs), so the setup is correct. To really test the aggregate bandwidth I’ll have to simulate multiple simultaneous connections. I’ll leave that for another day. Perhaps let this sit for a while and attach some switch statistics to back up the bandwidth numbers. All in all, for less than $150 I’ve finally got all my lab systems setup with LACP. I’ve got an old 17″ Macbook Pro from late 2008 that’s still kicking. It’s served me a lot of good years filled with studying, scripting, exams, etc. and I’ve never had a problem with it. I mostly keep it around for testing OSX related things, and as a backup. 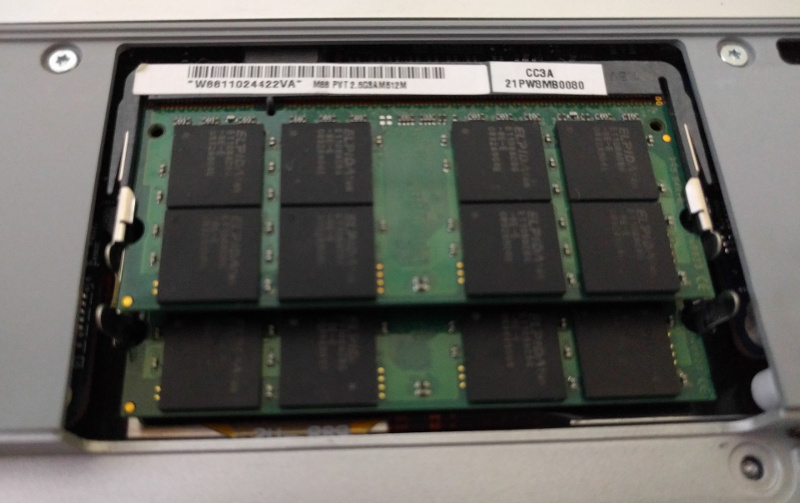 Last year I replaced the aging 512GB HDD with a 256GB SSD which did wonders to speed it up. This year the battery has finally went on it, so I ebay’d a replacement ($25) from plus_86. They’re a 3rd party battery replacement shop that ships out of Quebec. 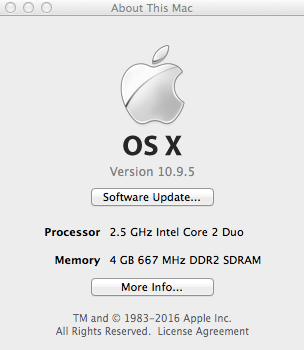 I also decided to up the RAM from 2GB to 4GB. Looking back on it, I’m wondering how I ever managed just with 2GB. I had a couple VMs running on this at one time! I ordered a 4GB kit from memoryfast, they’ve got a rebate program where I can ship them my old RAM for a small credit to my order, not bad! I had a heck of a time replacing the memory. I’d read this before, but Apple likes to use Loctite 247 on their screws to keep them from vibrating loose. Not a bad idea, until you try to remove them for an upgrade… I bent a phillips 00 screwdriver trying to get the last one out, then ended up stripping it. I read that Apple techs have a power tool that does this, and I’m not surprised. After unsucessfully trying a soldering iron and a glue gun to heat up the screw in hopes of loosening the loctite, I ended up drilling out the last screw. I’m not sure yet if I should be upset that I had to do that, or happy that those design decisions have given me an 8 year old laptop that’s still kicking. Oh well. At least I didn’t have to pay an Apple genius to do it for me. 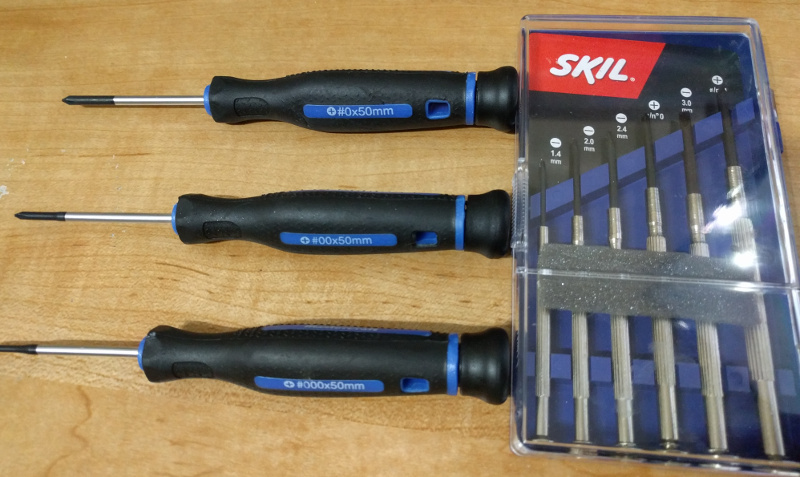 If you don’t have a precision screwdriver kit already, you should get one. They’re handy for laptop, mobile phone, and other small electronic repairs. I use a basic flat head and phillips kit, with some spare phillips that are slightly smaller in size. For most jobs, you’ll need the phillips triple zero, double zero, and zero sizes. Removing the battery at the rear is easy, but as I mentioned that one screw was a pain. 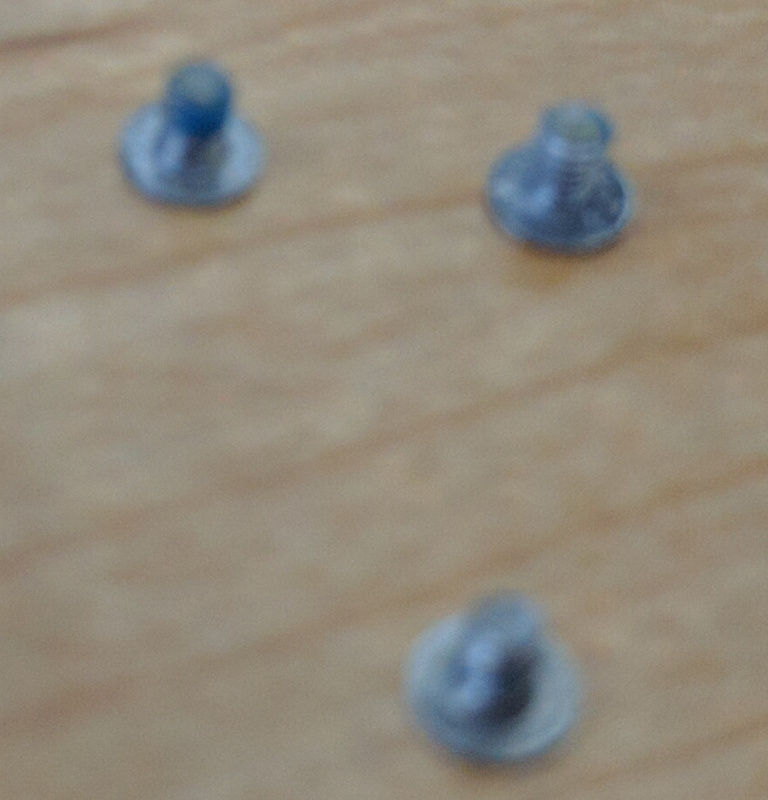 The picture quality isn’t the greatest, but you can see the blue loctite on the screws. And finally, after inserting the new DIMMs, a happy laptop.